In a new report, researcher Todd Litman critiques the widely-cited report by Wendell Cox and his firm Demographia, the International Housing Affordability Survey (IHAS), which was published in January for the 14th time. IHAS gives Cox a platform to argue against housing regulations and what he calls “urban containment”—essentially, policy that seeks to prevent sprawl. 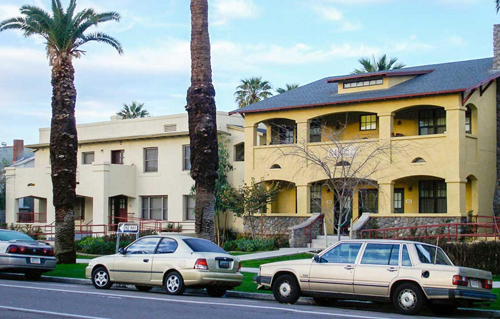 Cox uses the “median multiple,” a ratio of median housing price to income, which Litman argues in True Affordability is a dated and weak method because it ignores transportation, rentals, subsidized affordable housing, missing middle housing types like accessory dwelling units, and other key factors. The analysis at the level of the metro region also fails to distinguish critical differences within metro areas. Here are three of many examples where Cox’s analysis goes wrong. Cox holds up Atlanta and Houston as two of the most affordable big metro areas in the US. Litman points out that Atlanta and Houston are actually the least affordable when transportation costs are taken into account. Cox argues that travel times are lengthened in cities that promote smart growth. Yet in every metropolitan region the areas with the shortest commutes are smart growth neighborhoods close to the core. So, if policy makers want to promote short commutes, infill in transit-served, walkable neighborhoods has clear advantages. 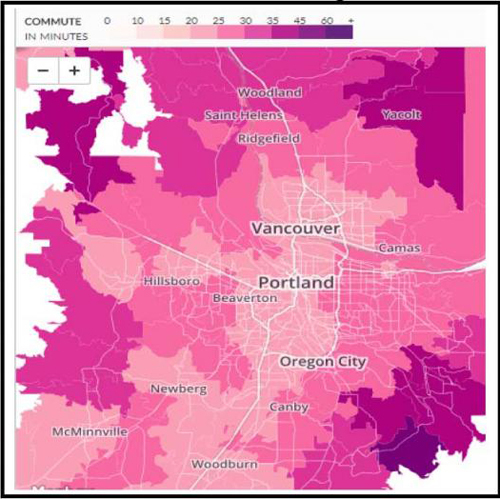 Commute times themselves are an incomplete indicator of travel times, because 80 percent of household trips are non-work related. In walkable neighborhoods, many of these trips can be made on foot or bicycle, boosting health and accessibility. Third, containment policies make up a small minority of growth restrictions (see graph below). These other regulations are often ignored or de-emphasized by IHAS. Some regions like Atlanta that Cox categories as “liberal markets”—the best approach, he says—require large lot sizes throughout much of the region. That’s an extreme restriction on growth. 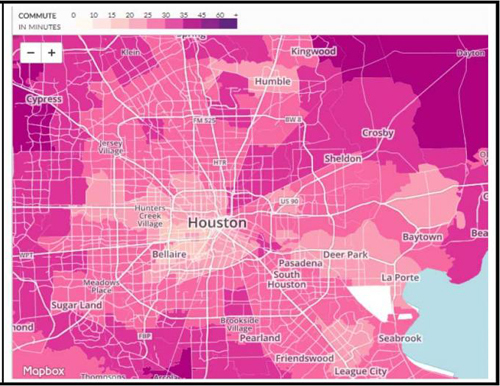 Another of Cox’s ideal cities, Houston, also restricts density by using such regulatory tools as setbacks and minimum parking requirements. Yet the biggest flaw in Cox’s view of affordability is that he posits a zero-sum game between affordability and urban expansion. Cox mostly ignores the question of how cities should grow, which Litman says is crucial to affordability and many other legitimate community goals—such as environmental quality, economic development, public health, and fiscal health of municipalities. In a critically important section, Litman flips the question by asking not whether cities should grow, but how. He lays out goals for growth that make sense given any of three scenarios—expansion (liberal growth), semi-containment (some restrictions on growth), and containment (heavy restrictions on growth). Litman calls this “Optimizing Urban Development,” and the following eight goals can be pursued independent of the restrictiveness of growth. 1. Accessibility and efficient mobility. More central, compact, mixed development, with well-connected road networks, and diverse travel options (walking, bicycling and public transit). For traffic efficiency, urban roads should be managed to favor space-efficient modes (Exhibit 36). 2. Affordability. Considering housing and transport costs, the most affordable option is generally compact housing (townhouses and mid-rise apartments) in walkable urban neighborhoods with unbundled parking. Public policies should ensure that such housing is available to any household that demands it. 3. Consumer sovereignty. Planning should respond to consumer demands. Serving diverse demands requires diverse housing and transport options, including those of people with disabilities and low incomes. 4. Economic productivity. As described previously, more compact and multimodal urban development tends to increase economic productivity, due to economies of agglomeration, improved accessibility and cost savings. 5. Economic opportunity. As described previously, affordable infill in walkable urban neighborhoods tends to increase disadvantaged people’s economic opportunities by increasing their access to education, employment, cost savings, equity generation (if they purchase homes), and positive role models. 6. Environmental quality. More compact and multimodal development allows openspace preservation (it reduces farmland, habitat and parkland displacement) and reduces energy consumption and pollution emissions. Local environmental quality requires adequate parks and recreation facilities, attractive streetscaping, and roadways managed to reduce motor vehicle traffic volumes and speeds. 7. Public infrastructure and services. Public infrastructure and services tend to be most efficient with at least moderate densities, either infill or expansion along major utility corridors and roadways. 8. Public health and safety. As described previously, compact, multimodal urban design tend to increase health and safety by increasing physical activity and reducing traffic accidents. Communities should include parks and appropriate recreational facilities within convenient walking distance of most homes. This set of goals, in effect, lays down a challenge to Wendell Cox. The question he should answer is: How should cities grow? Is the answer continuous and unlimited low-density, disconnected development on the exurban fringe? If so, how does that create affordability, sustainability, and high quality of life? If the answer is not continued automobile-oriented expansion, how would you organize and regulate growth? New urbanists and smart growth advocates have been addressing these questions for more than two decades—and they have created proven and adaptable tools for policymakers and developers to use.